The X-VOX is a full-range, three-way compact floor-standing speaker, specifically designed to integrate flawlessly with the Liberty Audio B2B Series of pre-amps and amps, but will provide outstanding performance with other set-ups as well. 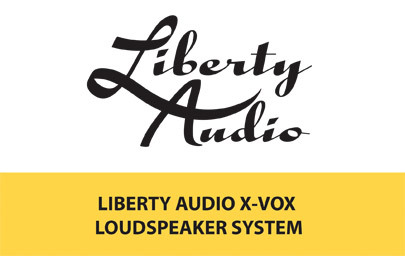 All Liberty Audio products are designed and built in the USA and create a superb system for demanding audiophiles offered at highly competitive pricing. The X-VOX features elite ScanSpeak drivers engineered and manufactured in Denmark – among the best in the field. They’ve stood up under the industry’s most exacting demands year after year, a true indicator of the very finest designs. Starting from the top, the X-VOX features the very same Revelator Tweeter that ScanSpeak designed specifically for our use in the world-renowned Montana Loudspeaker line. 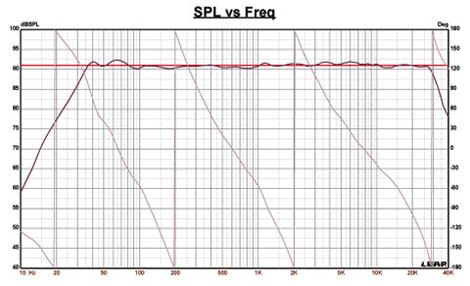 It is a high-sensitivity 1” dome tweeter with a useable frequency response from about 2kHz to 30kHz. The critical midrange is handled by a 5.25” Revelator Dedicated Midrange unit featuring a slit-cone design which eliminates unwanted break-up resonances that would other wise smear the midband. High sensitivity is achieved using a very large magnet system with copper shorting rings and a tight magnet gap. The bottom end is solidly handled by Twin 9” ScanSpeak Woofers mounted in a perfectly tuned cabinet. The woofers have hard air-dried paper/carbon fiber cones ensuring a rock-solid aural foundation for any recording in your music library. This suite of four drivers is perfectly integrated through a sophisticated crossover design, easily handling SPL (sound pressure levels) as well as the very critical phase relations between drivers – creating a network that works in unison as a single, powerfully focused source. The result is nothing less than perfection: a rich soundstage with stunning depth and width while maintaining a completely neutral tonality. The crossover uses top-quality components – High Voltage Metalized polypropylene capacitors, air core inductors, I-core inductors and high-wattage resistors. All have been selected for superior performance and long service-free life. 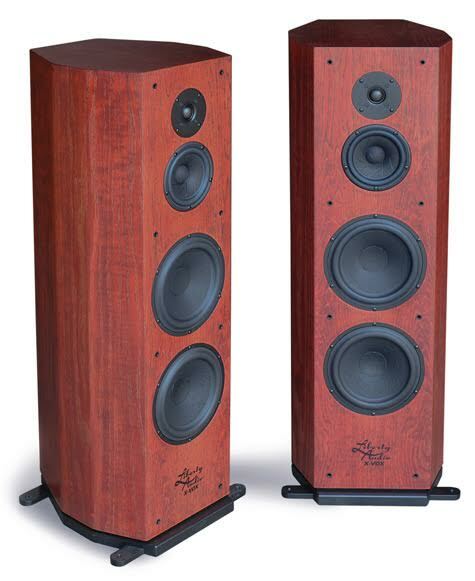 There are no milliwatt components here that falter when you turn up the volume – from delicate piano passages to thundering rock, these speakers handle the most demanding acoustic challenges with command and precision. The cabinet is made from precision-machined MDF board, featuring a 1.75” laminated front baffle while providing generous relief on the back side of the driver cutouts. This creates unrestricted breathing room for the rear wave. The X-VOX is engineered with internal perimetrical braces and struts that make a tight, stiff enclosure eliminating any cabinet vibrations or sound reflections. The shape of the enclosure is proportioned to the optimal horizontal/vertical ratio for a balanced, spatially dimensional soundstage. 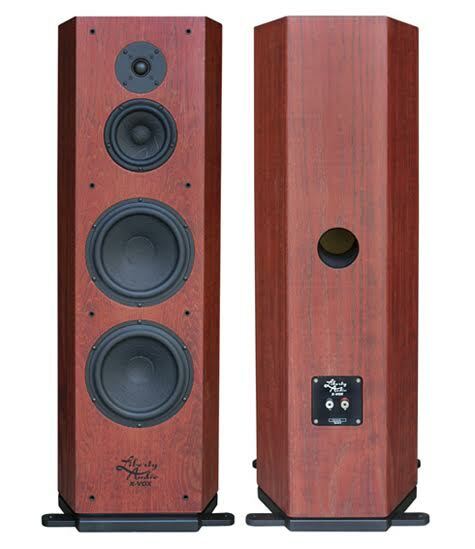 The cabinet is equipped with our easy-to-use outrigger pods for securely spiking the speaker. The finish is our custom layered lacquer on red-stained oak veneer – giving each cabinet both a rich luster and a subtly liquid depth. 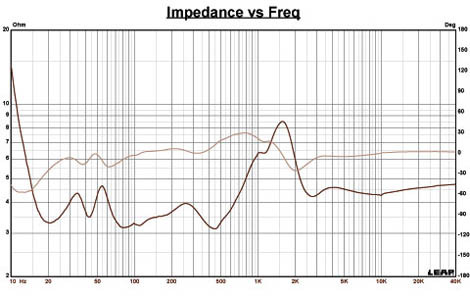 Driver Compliment HF = 1” Dome Tweeter MF = 5.25” Paper Cone driver LF = 2 x 9” HardPaper/Carbon Fiber Cone Driver.